My name is Manuel, from Spain. I would like to work with this oximetre but previously I would like to run your code. In this moment I have not the oximetre. Would be possible get us a example of string (bytes) that the oximetre send by serial? Thanks for your comment. I haven’t got the device by my computer right now. I’ll try to update the post with some example data one of the coming days. I have got your code working, and it seems to work well. No, I’m afraid not. To my knowledge there is no built-in way to turn the device on or off remotely from the PC. As far as I remember, there is no such feature in the bundled Windows software. Nothing is impossible, of course, but not without making hardware modifications to the device. I suppose you could add a small microcontroller that listens in on the serial line for custom turn on/off commands. Hello atbrask, Can I have your email. I was make similiar logger for raspberry Pi can we talk on email because the explanation is too long in the comment. I’m working on a similar project. DId you ever make any progress? I’ve only had the pulse ox a couple hours and have not even tried interfacing with the RPi yet so any help at all would be greatly appreciated! You ever get yours working? Any luck with either of you guys? The device is working well on the PC with the delivered Driver. However, I don’t get data with your python script. (tried with 19200 baud 8O1) ? If you still don’t get anything, you could try to connect to the device using a serial monitor. The device is supposed to start streaming live data immediately when turned on. There is no handshake or anything. If nothing happens, they have probably changed the protocol. In that case you’ll have to sniff the serial communication while the bundled application is running. There are various tools for this (e.g. by using API Monitor as described above). have you tried CMS50D+ Ver4.6? it’s different. could you help me to analysis the data? Unfortunately, I don’t own a version 4.6, so it’s a bit difficult for me to give good advice on it. It is indeed quite different from the version I have. But I do have a few observations..
All bytes (except the first byte in every “packet”) have their most significant bit set. This indicates to me that the protocol uses this bit to tell whenever a new packet starts. And two of the bytes seem to be changing alot. You could try to compare the lower 7 bits of the 4th and 5th byte with whatever the device says on its display while running. I only need the live data, so i don’t care about recorded data. Your script is only giving some weird characters. Can you give me a quick guideline how I can do what you did, but now for v4.6? I am trying this project with a Pi3. Has anyone tried that yet with a ver 4.6 cms50D+? Thanks for the code! However, I ran into a problem with the live data feature. When I ran the code to take live data, it said, “Press CTRL-C or disconnect the device to terminate data collection.” Instead of continuing to record, it immediately ended without me doing anything. When I looked at the file, it only showed the headers without any actual data. I followed all of the steps you provided. Is there something I am missing? I am having the same issue – the code displays “Press CTRL-C or disconnect the device to terminate data collection.” but no data is saved into the csv file except for the headers. That is strange. It doesn’t do anything at all? Is it one of the newer “v4.6” devices? If so, I’m afraid I can’t really help..
Actually, it seems that the new model now requires a handshake. You need to figure out what command to send to the device before it starts streaming the data and the order in which the data is sent is now different from the older model. We had to change the baudrate and other parameters as well. You can figure out what message to send to the device and how it is streaming the data by using a packet sniffer once it starts streaming the data to the provided SpO2 Assistant visualization software. For sure there is some handshaking going on. If you have resolved this issue request for your help. It seems that version 4.6 doesn’t stream live measurements anymore. I’m able to download recorded data however. There is nothing to read the serial port, it should just stream without the need to write anything right? Has anyone had more luck with this version? I’ve been starting recording with: python ./cms50dplus.py LIVE COM8 foo3.csv. You should adjust your COM port (see port with Device manager). Very useful info on this device; thanks! Much easier than using the Windows software in a VM to get the data. I would like to display the pulsoximeter data with C. I tried to read from ttyUSB0 port the data but I got only dummy data. I also tried with PUTTY, the result was similar. I used 9600 and 19200 baud rate. 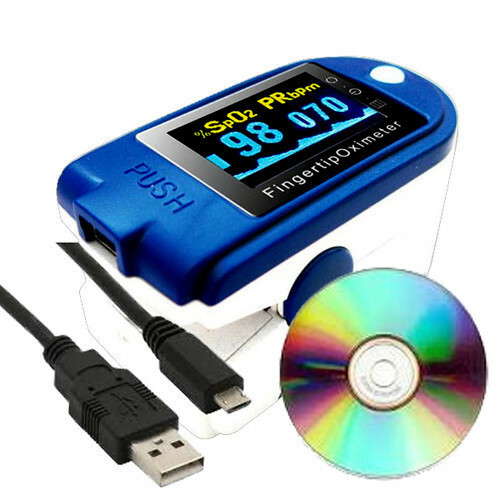 I want to know how much the sampling rate of this device can be? Thanks! I don’t know about the later revisions of this device, but mine samples at 60 Hz in live mode and at 1 Hz when recording. 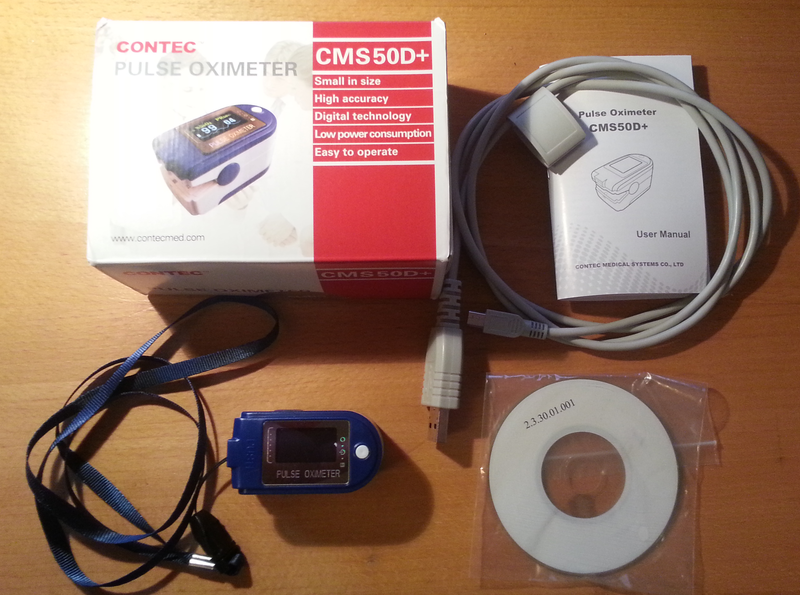 Contec Oximeters sold after 2017 have version 4.6, which doesn’t work with this code. They device does not stream live data automatically. They seem to have added some kind of handshake, which I tried to replicated using a port sniffer but it doesn’t work for some reason.